Dubai, UAE: Dubai Properties (DP), a leading Dubai-based real estate master developer and asset manager known for renowned destinations across the Emirate, has announced that the iconic Marasi Business Bay Promenade is schedule to be opened in November 2016, coinciding with the opening of the Dubai Water Canal being built by the Roads & Transport Authority (RTA). More than 10 km of the 12-kilomentre promenade and surrounding infrastructure, including paving of open areas has been completed to date. Once launched, the Marasi Business Bay Promenade will be a journey of discovery with unlimited options for entertainment, leisure, retail and an active lifestyle with scattered seating offering the perfect place to enjoy picturesque views of the marina and surrounding canal. The dynamic and vibrant destination, home to a variety of public facilities, will become the location of choice for outdoor family time, entertainment and fun weekends presenting a world rich with wonders waiting to be discovered onshore and offshore. The region’s first ever purpose-built yachting destination located along the Dubai Water Canal on the extension to the Dubai Creek is divided in to three uniquely themed main areas – The Marina, The Park and The Pier – is on schedule to be completed by 2023, transforming the Business Bay and Marina as the city’s next waterfront landmark. Phase 1 of the Marasi Business Bay destination, comprising The Marina and The Park, is on schedule for delivery in Q4 2017. Also as part of Phase 1, the UAE’s first-ever water-homes, which are being built on water with pedestrian and boat access, provide unparalleled direct water views, are under construction and have attracted high-levels of local and international interest enhancing Dubai’s iconic status as a preferred place to live, work and visit. The 50,000 sq.m. Park area will include 16 parks with water features, play areas, and interactive furniture, as well as an events space with an amphitheater, outdoor cinema and weekly markets, complementing the waterfront promenade area while the lush green surroundings encourage an active and healthy lifestyle for families looking for the ultimate leisure destination. The Marina will feature five palm tree-lined marinas with 1250 berths, alongside more than 100 floating retail and F&B outlets, an assortment of onshore boutique shopping, leisure and entertainment facilities as well as a range of local and international businesses. 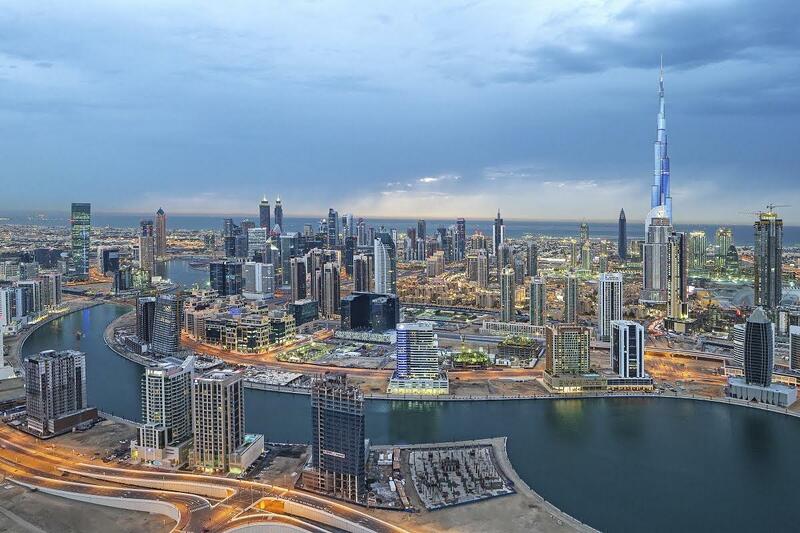 Marasi Business Bay has direct connectivity to the city’s main transport arteries – Sheikh Zayed Road and Al Khail Road – and it is located within 550 metres from Downtown Dubai. DP’s diverse real estate portfolio responds to the evolving needs of Dubai through the development and management of a host of mixed-use contemporary residential, retail, commercial and retail developments including: the upmarket residential towers at Jumeirah Beach Residence(JBR and 1/JBR), the commercial and residential mixed-use developments in Business Bay (The Executive Towers, Vision Tower, Bay Avenue, Bay Square, Bellevue Towers and Marasi Business Bay), the residential communities at DUBAILAND (The Villa, Al Waha, Arabella, Mudon, Remraam, and Serena) and the residential and hospitality projects at Culture Village around the Dubai Creek, (Dubai Wharf, Manazel Al Khor and the Anantara Dubai Creek Hotel), and the growing portfolio of community retail within its leasing communities including Layan, Shorooq, Ghoroob, Al Khail Gate communities and Nuzul staff accommodation.